Hāna, Maui. Raw and seemingly untouched. Honest and hospitable. Pristine, gorgeous, rugged, vibrant, majestic and ripe. Hana is the embodiment of easy-living. And in the words of songwriter and musician CJ Helekahi, a place where you can see the stars at night, the dark side of the moon, and a place you never leave. Born and raised in Hana, Maui, the remote small town of approximately 2500 people on Maui’s scenic east coast, emerges a singer/songwriter named CJ Helekahi who has a sound like no other. 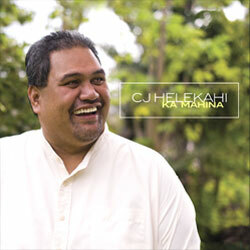 CJ Helekahi comes from a very large and musical Hawaiian family with a long lineage of talented people. 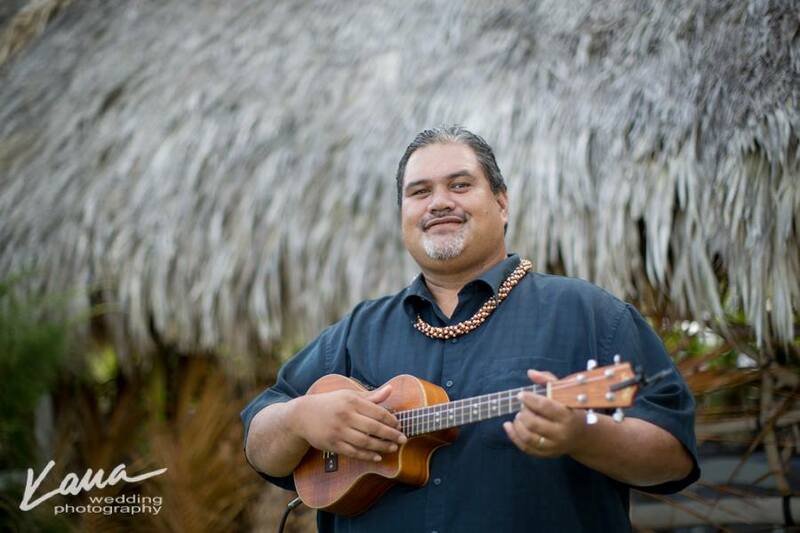 His Grandmother, the late Clara Tolentino, was a famous Hana entertainer, along with his Aunty G-Girl Keli’iho’omalu, a well-known recording artist, and his parents, Lovey and John Helekahi, renowned and long-time performers in Hana. There is a real pureness to CJ’s voice; an originality that could only come from a place like Hana. In this land of love of family and sharing, true community closeness and old Hawaiian ways are abound. CJ Helekahi, known to many as “Boom”, has gained a reputation far and wide for the beauty of his voice – from his soaring tenor to his caressing falsetto. He captures the heart of his audience regardless of what kind of music he’s singing or where he might be playing, whether that is at the beach with his ‘ohana or on the big stage. His love of all kinds of music is apparent in his versatility as an artist and songwriter and really comes from being raised in a place like Hana. CJ was always surrounded by kupuna playing country and old Hawaiian songs and he loves listening to all kinds of music and musicianship. Learning by listening so intently is what has made his sound so universal. In 2010, CJ released his first CD, Ka Mahina. It is a wonderful collection of traditional Hawaiian and contemporary Hawaiian songs and includes four of CJ’s originals. I Will Never Leave You Hana, Maui is a beautiful ballad written from the heart that truly reflects the spirit of Hana and how close he is to his birthland. Mahina Malamalama was written and generously gifted to CJ by Kaiolohia Funes Smith. Mahina Malamalama is a magical song about the radiant moon of Hana with an interesting melody created by CJ that again showcases his versatility as an artist. What Aloha Means to Me was co-written by his wife Tanya, has a fun almost Caribbean sound to it and speaks about the beauty and their love of Hawai’i from two perspectives. And lastly, Never This Lucky, a song with a contemporary sound about a dream that CJ wrote many years ago. Ka Mahina was nominated in two categories for a Na Hoku Hanohano award in 2011. 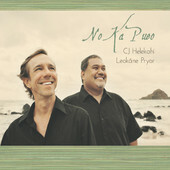 Most recently in December 2012, CJ released a new CD titled No Ka Pueo with long time friend and musical partner Leokane Pryor. This CD is a fun collection of music that the two love to play together for old and new friends alike at their weekly gigs at Travaasa Hotel Hana and around the islands. No Ka Pueo includes a bunch of fresh twists on some old favorites, and some beautiful new originals from both Leokane and CJ. Ku’u Home Aloha is a song CJ penned about his favorite songwriting topic, Hana, reflecting his abundant love for his home. And so, from this place called Hana comes an artist with a purity and honesty that can’t be matched. A product of true aloha, simplicity and beauty, CJ has an unforgettable voice and he wears his heart on his sleeve every time he sings. He is Hana in a song.